Here is the second row on the baby bonnet. 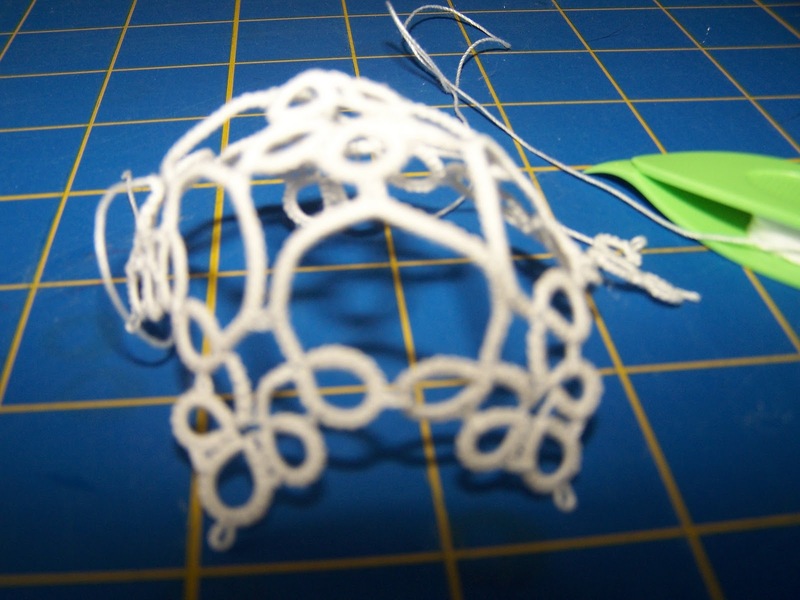 It has shaped nicely, but it is very small. This fits loosely over a golf ball, I don't think it will ever fit a baby. I checked my directions and I did follow them right but it just isn't going to work. Maybe I need to add another ring in the center, now it only has five. I think I will put it back for now and try something different. I don't think I am suppose to make any of JoAnn Stearns patterns for baby. The booties I tried came out huge and not the bonnet is way to small. I will try again at a later time and see how it works out. 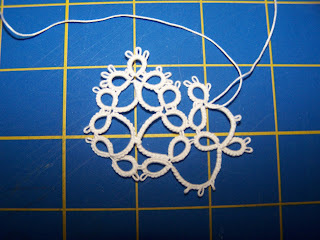 I found a new antique lace pattern to try. I was not sure I was going to like it and it is finicky to work on but all in all I am happy with it. I am going to make a Ring Bearer Pillow for my nephew's wedding next year so I am trying out different edges. I do want one that with have a long drop off the edge so I keep looking for one and trying it out to see how I like it. This one looks like it might be two inches wide so it might be what I want. I will keep looking I have almost a year to find the one I like. My sister once had a home on this same site and she said my great grandfather haunted her house. I am beginning to think he might still be hanging around here. Although I moved my house in two years ago I am just north of the original home site. Every once in a while I can smell something burning, it bugs me that I can't find out what is causing this. I am thinking I will just have to blame Great Grandpa. She also told me he didn't like cucumbers and would hide her seeds every year. He didn't hide mine. I had a great cucumber crop last year, just didn't get them planted this year. I've had problems with every bonnet I've tried to tat - either way too big or way too small. 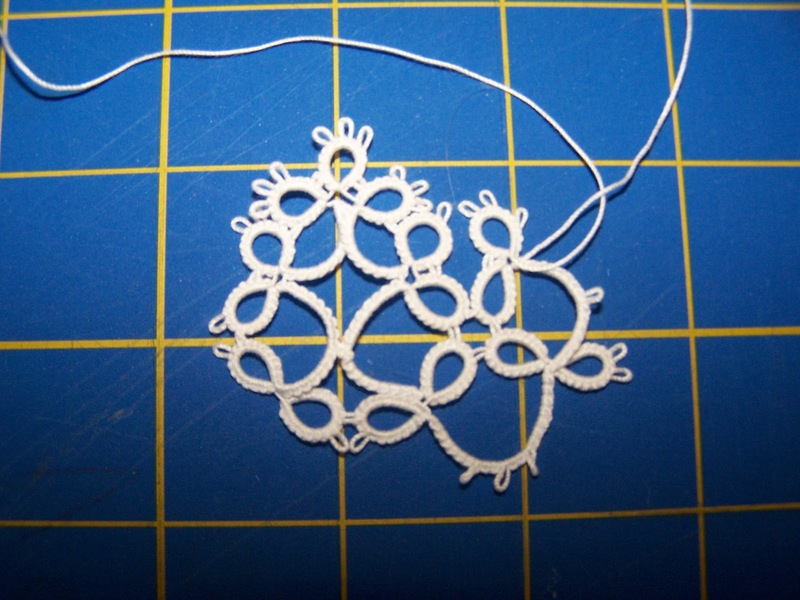 I think I prefer just doing the hanky bonnets and adding tatting! good idea, maybe I will do that too, but I really wanted to do a bonnet that fit! Maybe you need to use a heavier thread for this pattern. looks nice tho.